Data continues to trend upward as a topic in the world of business as the quantity of data that a company maintains, evaluates, and organizes continues to expand. Holding onto and utilizing pertinent information is vital for analyzing company strengths and weaknesses, while preparing for successful maturation in the future. That said, without having IT or programming experience, understanding the technological solutions for data storage can be challenging. There are only a few options, but their capabilities and features differ. Depending on what variety of Business Intelligence (BI) needs have to be met, the software may entail a particular data storage solution. This article is going to discuss and compare the two most common options: an OLAP Cube versus a Data Warehouse. Definitions might be the best place to start. OLAP is an acronym for online analytical processing and cube refers to a multi-dimensional spreadsheet of data, so an OLAP cube is a staging platform for data analytics. Basically, a cube is a mechanism used to pull together data in organized, dimensional structures for analysis. Alternately, a data warehouse is a database that stores information to empower decision-making, maintained separately from an organization’s operational database. It supports the handling of organizational data by offering an established platform of consolidated, transactional, organized information. These two options have different IT requirements. An OLAP cube is not an open SQL server, so it requires someone with an OLAP technical skill set and experience to maintain the server. This means specific personnel requirements, but as OLAP cubes are widely used in the business world, there are relatedly plenty of people in the workforce with the skills needed to manage the cube – if the budget has room for the expense of this position. Historically, Data Warehouses have been a development project that can be fairly expensive just to build. However, data warehouses are now offered as a product – fully built, configurable, and capable of staging multiple types of data. 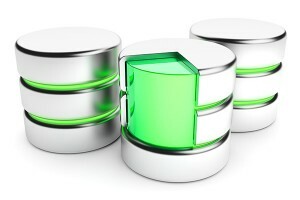 Some data warehouse solutions are business user friendly when it comes to management. While cost of data storage management is an important factor to consider, there are several features to think about. Understanding OLAP cubes and data warehouses better is tremendously valuable when deciding which BI to implement. For some starting to shop around for BI solutions, since company data is necessary for such regular analysis, data storage could very well be the driving characteristic an organization would consider when making acquisition decisions. For other companies, the investment in a storage unit for enterprise data might be a secondary purchase, responding to the processing needs related to Business Intelligence initiatives. Regardless, the variances are significant when deciding on a data storage solution. To continue learning more about what to consider when looking for a data storage solution, read the rest of this article here.